These homeowners had big plans for a challenging space—one with limited at-grade land behind the home, leading to a large hill. 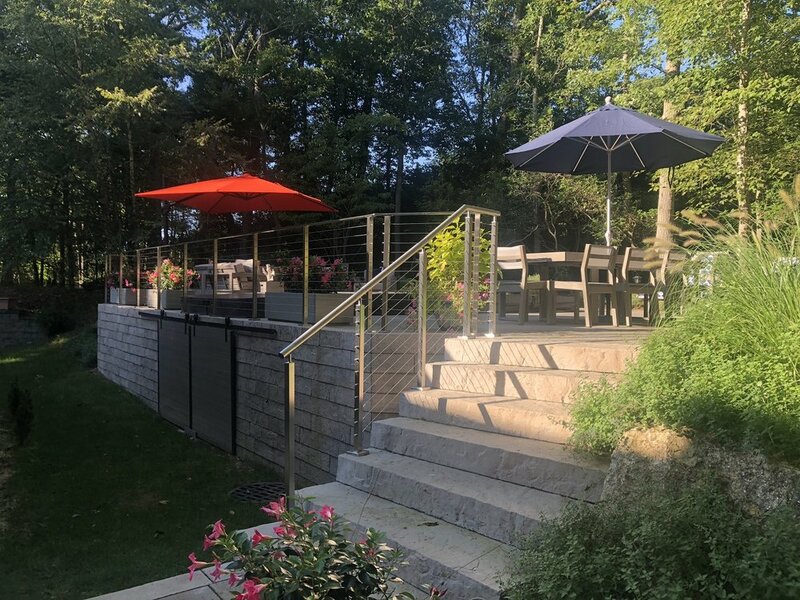 Gary Duff Designs transformed the previously underutilized area, combining simple modern lines with warm tones to create a clean, inviting exercise or relaxation space set amid forested surroundings. A swim spa and surrounding patio were built into the slopes of the backyard, making efficient use of the wooded locale. 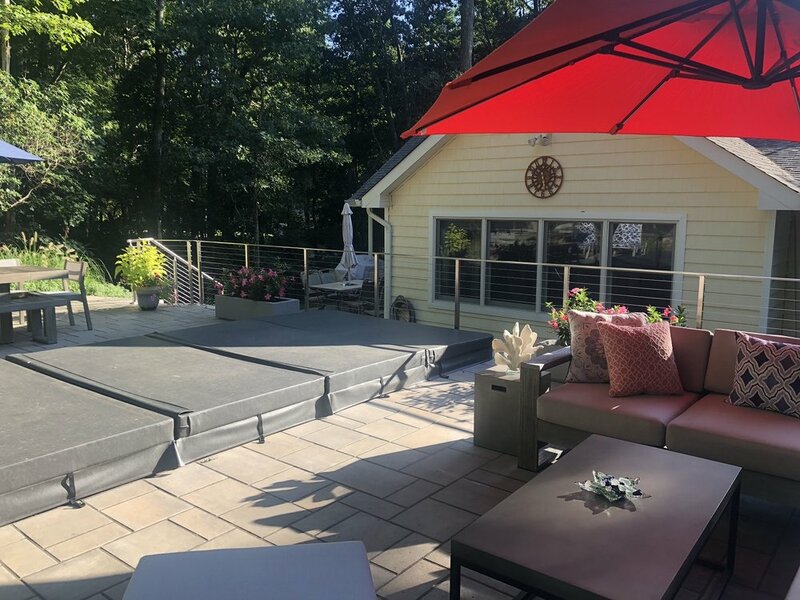 Steps set into the yard’s grade guide the home’s owners and guests to an elevated patio of Techo-Bloc Blu 60 patio stone. Stainless steel railing provides safety while preserving the patio’s open, airy feeling. Doors added to the front of the spa allow for service access of all equipment and pumps, and walls of Techo-Bloc Röcka provide support and attractive concealment of the spa works. This home now enjoys a great new space for swim, sun, or fun.